How would you like to live in a place with wide open spaces, where the pace is peaceful and slow, the crime rate low, the cost of living low, the people warm and friendly, the natural resources plentiful, and the potential for development unlimited? Such a place is Clarke County, Mississippi! Named for prominent Mississippi jurist Joshua G. Clarke, Clarke County was established in 1833 out of Choctaw lands that were ceded by the tribe in the 1830 Treaty of Dancing Rabbit Creek and has a rich and interesting history that includes steamboat navigation on the Chickasawhay River, the advent of the railroad, and havoc wrack to the railroads and towns by Gen. William T. Sherman in 1864. Its agricultural base, especially cotton cultivation, a major lumber boom that lasted into the 1930’s, the growth of the textile industry, as well as oil and gas production, have contributed to the rich southern heritage of Clarke County. A number of lovely antebellum homes have survived and may be seen throughout the county. Clarke County is 692 square miles of forests, farms, rolling hills, prairies, lakes, rivers, and streams located in east central Mississippi, inhabited by some 18,000 people. Quitman serves as the county seat, with 2,463 residents.The towns of Enterprise, Shubuta, Stonewall, and the village of Pachuta make up the non-rural areas. Rural areas, which have 72% of the population, include many closely knit communities, which contribute greatly to the overall quality of life of the county. There are 15 volunteer fire departments, as well as county, city, and town law enforcement agencies providing protection for the citizens. Despite our famous humidity, the beautiful summers and mild winters make year-round outdoor activities very popular. 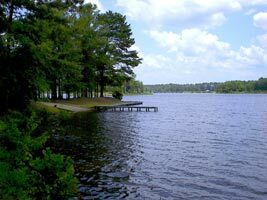 A mecca for deer and turkey hunters, Clarke County offers great fishing and other small game hunting. Golf, youth baseball, softball, football, soccer, and water sports, offer something for everyone, as participant or spectator. Religion and faith play a large part in the make-up of communities and the social life of residents. 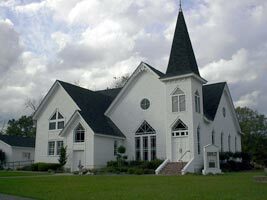 Located in the “Bible Belt,” Clarke County has some 200 churches with a variety of denominations represented. Schools are an important part of the social life and activities of Clarke County’s citizens, offering educational opportunities and training to children and adults through Quitman Consolidated School District, Enterprise School District, Clarke County Vocational Center, Old Heritage Academy, and Jones Junior College. High School graduates number 61.5% of educational attainment since 1990. With new national and state standards on the horizon and the mandate of citizens to provide quality education, school districts are working hard to bring about changes and improvements in their systems. Location is a real asset for Clarke County. A full range of healthcare services, banking institutions, pharmacies, grocery stores, and many retail and service establishments meet all basic needs of its citizens, and the county is within an easy day trip to Meridian, Jackson, Hattiesburg, the Gulf Coast, Mobile, or Birmingham. One can enjoy all the comforts of easy, relaxed, everyday living and quickly join the hustle and bustle of the city. Being part of the high tech I-59 corridor linking the Stennis Space Center and Meridian makes Clarke County a possible strategic location for a variety of industries. 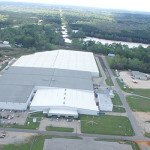 Industrial sites are being developed; industrial property is available and interstates and four-lane highways are easily accessible. There is a general aviation airport in Meridian, and Clarke County has its own airport for small planes. The possibilities for growth and development make these exciting times. Perhaps the greatest asset of Clarke County is its workforce. Over nine thousand men and women have a history of dedication, loyalty, and hard work that has benefited many industries through the years. Some 900 people work in government, with 600 in wholesale and retail trade, 510 in education, and 620 in service and miscellaneous jobs. The county’s workforce has been hit hard in recent years. The loss of hundreds of manufacturing jobs, especially in textiles, left Clarke County with an unusually high unemployment rate . Elected officials, economic development groups, educational institutions, and concerned citizens are diligently working together to attract new businesses and to retrain workers for new and different jobs. Clarke and surrounding counties now share in a $3.2 million dollar federal grant for workforce training that will enable the participation of workers in any kind of industry. The people of Clarke County still have opportunities to enjoy life at a leisurely pace, to participate in community activities, and to be a part of exciting, changing. and challenging times where faith, character, and personal integrity do make a difference. A great place to live? Clarke County, Mississippi!